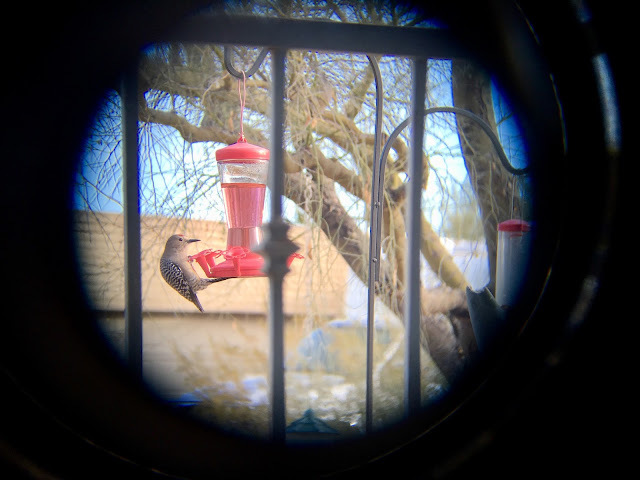 I took this shot of our Gila Woodpecker getting water from the hummingbird feeder by placing my iPhone camera lens on the eyepiece of my binoculars. Clearly, I wasn't busy on this particular morning. What an idea! I have to try this.